We’d love your help. Let us know what’s wrong with this preview of Reflection by Rachel R. Smith. Nerissa, the Heiress of Chiyo, prepares for the masquerade celebrating the twentieth anniversary of a thwarted assassination attempt on her family. Longing to be admired for herself and not her title, she arranges to switch costumes and enjoy the ball in blissful anonymity. But, when the fateful night finally comes, a prophetic warning of a second attack arrives too late, and the evening turns from revelry and romance to violence. After being pulled from the chaos by an enigmatic guardian, Nerissa learns that the Royal Family has been concealing a formidable secret for generations--and it is only one of many that are about to be revealed. To ask other readers questions about Reflection, please sign up. Does this book have any romance?and is it love/hate? Rachel Smith There is a small amount of romance, but it isn’t the central focus of the story. All she wanted was a chance to feel like a real girl, to be treated like a real girl, but the night of her great adventure turned into a night of her greatest nightmare. Will Nerissa, the Heiress of Chiyo and lone survivor of the royal family ever get over the burden of her grief and guilt? Saved from the attack on her family by a secret guardian, her survival must remain secret as her kingdom is overpowered by its technologically advanced neighbor. Will the mystical nature of Chiyo and the surv All she wanted was a chance to feel like a real girl, to be treated like a real girl, but the night of her great adventure turned into a night of her greatest nightmare. Will Nerissa, the Heiress of Chiyo and lone survivor of the royal family ever get over the burden of her grief and guilt? Saved from the attack on her family by a secret guardian, her survival must remain secret as her kingdom is overpowered by its technologically advanced neighbor. Will the mystical nature of Chiyo and the survival of Nerissa bring forth ancient prophecies to be fulfilled? Will it mean she will finally learn the secrets of her ancestors that have been hidden from her for so long in the magic of the crystals? Follow Nerissa’s often painful journey in Reflection: The Stranger in the Mirror by Rachel R. Smith as we travel through a world split by magic and technology, greed and deceit, to be witness to the rise of a strong-willed leader in the making. 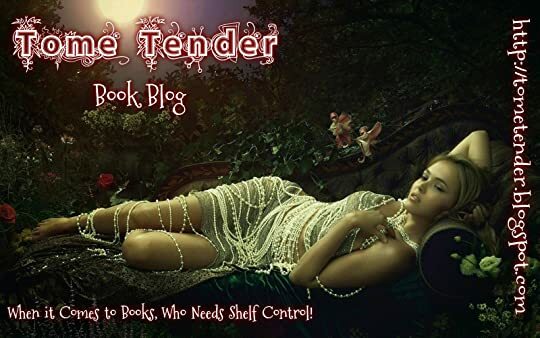 Rachel R. Smith has blended dark and light, mystical aspects, and the growing pains of one girl, who only wanted to spread her wings for a few hours. This is fantasy, a world we can create in our own minds from the wonderful descriptions provided by this author who also changed POVs for more depth and a different take on the same events. From the amazingly magical cover to the very last word, Rachel R. Smith had me enthralled as she set the foundation for a new series that promises some surprising twists. I received this copy from Rachel R. Smith in exchange for my honest review. Reflection: The Stranger in the Mirror is a strong beginning to what's sure to be a good series! "What is a book for if not to be read?" This book started off a bit rough for me, but about 25% into reading it seemed to flow a lot better and I was completely intrigued. We meet our main character, Nerissa, as she is living her every day life as the Heiress of Chiyo. Chiyo is getting ready to celebrate it's 20th year of being able to see another day after the assassination attempt on the Royal fami Reflection: The Stranger in the Mirror is a strong beginning to what's sure to be a good series! This book started off a bit rough for me, but about 25% into reading it seemed to flow a lot better and I was completely intrigued. We meet our main character, Nerissa, as she is living her every day life as the Heiress of Chiyo. Chiyo is getting ready to celebrate it's 20th year of being able to see another day after the assassination attempt on the Royal family. I immediately loved Nerissa. First, she's a book lover (how could I not love her?). Second, she's incredibly humble, intelligent, and strong. She's been training in combat and strategy ever since she was named Heiress. She is a heroine readers can easily root for. Then we are introduced to another character named Shae, who is a seer in which she has a dream of the masquerade ball where Casimer, who has attempted to assassinate the Royal family before, is going to try yet again, and this time he will succeed in bringing down Chiyo. Shae and her daughter, Desta, seem to play a small part in this book but I think they'll have a bigger role in the next book because we leave them as they discover something huge. This book is very slow-paced which I didn't mind because it gave me a chance to enjoy the world building and learn more about these characters. There are a lot of characters, I simply can not tell you how many because I lost count, and it did get kind of confusing at times.. I did like all of them though. As soon as the action picks up, about halfway through the story, that is when the story becomes more interesting. We are introduced to more characters and learn more about the past of the Royal family and their guardians. I'm not going to spoil it for you, but I will tell you that it's all very interesting, and the Ohanzee are by far my favorite aspect of this book. Due to circumstances that occur, Nerissa comes to be with the Ohanzee and the story starts to slow down again as we learn more about them. I won't tell you about all of the characters in the Ohanzee, but they are pretty awesome fighters, and my favorite is Raysel. Raysel and Nerissa are connected in a certain way and I absolutely loved them together! There really wasn't any romance between the two of them, but I'm secretly hoping there will be in future books. . .
Everything begins flowing together great and I certainly was able to grasp the characters better by the end.. Which the book just sort of ends, with a huge cliffhanger, but it does promise a bright future for this series so I didn't mind it too much. I think Rachel Smith is a great writer, it was a little confusing at times, but once I was used to it I enjoyed it more. Her world building is great. I could have done with less POVs, but I see how it helped tell the story also. Amazing! I can't wait to read the second book in the series! Plot/Concept: Reflections is a very intriguing and different from many fantasy novels out there. I really liked the concept of storing prophecies within crystals and books and then coming to life in the future. It was very unique and original. There were so many things going on, it was great! I think that the plot progressed wonderfully and built great anticipation, especially for the next book. The last 20% of the book were the most exciting for me. Everything was finally rolling into place and Plot/Concept: Reflections is a very intriguing and different from many fantasy novels out there. I really liked the concept of storing prophecies within crystals and books and then coming to life in the future. It was very unique and original. There were so many things going on, it was great! I think that the plot progressed wonderfully and built great anticipation, especially for the next book. The last 20% of the book were the most exciting for me. Everything was finally rolling into place and the action was building up. I was so mad when I read the last page because I didn’t have the second book with me! Writing: It’s always a risk when you start reading a book from a new author. It was really worth it with Rachel, though! I really like the world that she created and you can tell that it was well thought out. I liked the action sequences and I wish that there was more of it. I felt that the book picks up once the masquerade party happens. The beginning was very confusing for me, there was a lot of new characters introduced and I kept having to wonder when I was finally going to stick Nerissa. Once it happened though, I couldn’t stop reading. I wish that there was a map, I think it would have helped me out (I don’t know why but I just love maps!). Like I said earlier, I loved how prophecies were stored and I wish it went more into it but there will be more books so I’m really looking forward to. Characters: There were a lot of characters and it was a little hard to connect with some because the point of view would switch before you got to really know them. However, the book eventually focused on a couple of point of views and towards the end, I was really missing some of the POVs that we read at the beginning — if only to give me an update as to what everyone else is up to! Nerissa was such a lovely character. When I first met her, I loved her curiosity and her wanting to be anonymous especially since eyes have been on her since she was born. As the book continued, you see her develop and her ferocity for her people was wonderful. I can’t wait to see more of her and see where she’ll take the kingdom. I also liked Einar, Ildiko, Raysel, and Rian! All these characters put together had this fantastic dynamic and my heart swelled with all the love and support that they showed for he royal family. We didn’t see more of Shae and Desta but I was really intrigued by them. I can’t wait to see more of them in the second book! I also hope that we get more Casimer point of views. We follow Nerissa through the daily hodge podge life she has before a climatic event befalls her. Then through the rest of the story we follow her though training. I'm making it sound more exciting than it was, and I'm sorry. Alice, from Wonderland -yes, that Alice-once got a glimpse into her sister's book and thought "What good is a book if there aren't any pictures or dialogue?" Nothing could be closer to the truth with this book. There are pages upon pages of paragraphs with nothing to break i We follow Nerissa through the daily hodge podge life she has before a climatic event befalls her. Then through the rest of the story we follow her though training. I'm making it sound more exciting than it was, and I'm sorry. Alice, from Wonderland -yes, that Alice-once got a glimpse into her sister's book and thought "What good is a book if there aren't any pictures or dialogue?" Nothing could be closer to the truth with this book. There are pages upon pages of paragraphs with nothing to break it up. I soon stopped looking at them as paragraphs and instead as blocks of text. Unfortunately, the dialogue wasn't very intriguing either. This book, from start to finish, was slow and difficult to read because of that very thing. Sadly, the author could have had a lot of surprise for the reader to make it exciting. That whole business with Shae didn't need to be revealed until the last chapter. Unfortunately, the reader already knows who and what she is, so the mystery behind her doesn't work. Nerissa doesn't feel like a real person, none of them do really. She handles death and change like it's nothing new to her. The little bit of lore we get could be interesting, but it is buried in mountains of exposition, interior monologues, and small scenes that seemed out of place. Lastly there wasn't a resolution to any plot point, major or minor. It simply ended with a sneak peak into the next book. I didn't read it. Thank you to NetGalley for my copy of this book! Reflection: The Stranger in the Mirror is a Fantasy story about a young Heiress named Nerissa. The prequel says it is optional to read, but I recommend reading it before anyway. It will help explain some things. The story centers around the event of a Masquerade Ball - the one where Nerissa will finally be anonymous for once in her life. She changes costumes halfway through in hopes that people will get to know her for who she really is and see be Thank you to NetGalley for my copy of this book! The story centers around the event of a Masquerade Ball - the one where Nerissa will finally be anonymous for once in her life. She changes costumes halfway through in hopes that people will get to know her for who she really is and see beyond her title as Heiress of Chiyo. When the night doesn't go as planned and takes a darker turn, Nerissa's life completely changes. This leads to her journey of discovering new secrets, magic, and the mysteries that surround her life. I liked Nerissa a lot - she is a likable character. She was hopeful and kind, but also shows she can be very brave and strong-minded. The End, as I mentioned before get ready to be left wanting…WANTING MORE!!! I was like what the heck?!! I jumped on line and have started on the next. The ending isn’t cliffy but it doesn’t feel like an end it felt like the beginning. Most of the story is a stage setter where the characters are well established and the storyline is explained. We know what the prophecy is but the pieces of the puzzle have yet to be discovered. We know there is a couple of great connections but they are still little buds. This was like the appetizer and I’m hungry for the main course. I bought this book because the author was offering it for free on kindle. I had not heard much about this series before I got the book but the synopsis sounded interesting. I'm extremely happy that I decided to give this book a try. It's a fantasy book about a princess, who is forced into exile when her parents are killed in a surprise attack. I don't want to say too much but the story includes ancient prophecies, hidden cities, secret guards, magical crystals, and promises of battles and romanc I bought this book because the author was offering it for free on kindle. I had not heard much about this series before I got the book but the synopsis sounded interesting. I'm extremely happy that I decided to give this book a try. It's a fantasy book about a princess, who is forced into exile when her parents are killed in a surprise attack. I don't want to say too much but the story includes ancient prophecies, hidden cities, secret guards, magical crystals, and promises of battles and romances to come. 1. Nerissa - our main character - is a strong and smart woman. She understands that as a princess she has responsibilities and she doesn't shy away from them. She makes some mistakes such as sneaking out at a wrong time, but she does nothing that would be dangerous or disastrous on a normal day. 2. Nerissa and her best friend love books and spend a lot of time reading. 3. Nerissa can do archery and she takes combat training and sword practice seriously. 4. There are magical crystals in this book. How cool is that!? 5. Records of Ohanzee sounds pretty cool. I wonder where the word ohanzee comes from, if anywhere. 6. There's no insta love in this story. Nerissa doesn't fall head over heels with the first boy she meets outside the palace. 7. Nerissa doesn't make stupid self-destructive decisions or try to sacrifice herself for some boy she met like two days ago. 1. The ending felt a bit sudden to me. I thought we were still in the middle of the chapter when the book suddenly ended. 2. Nerissa's friend who wants to marry her is infuriating! 3. It is possible there will be a love triangle later in the series. 4. One of Nerissa's possible love interests seems to be the kind of guy who can't accept he makes mistakes and sulks over them forever. I got serious Anastasia vibes reading this novel, though that's to be expected I suppose. Not going to lie it took me a few chapter to really get into the story but once I did I devoured it! I'm so freaking excited to learn more about the Ohanzee. I love that Nerissa is a bookworm and in training with her bow and is one of the best pupils. I am very excited for Nerissa's Mulan-esque training to continue with the boys! Shae is going to be interesting to learn about and there is clearly more to the seer than we know so far (which isn't much!). I love the concept of the crystals as I am obsessed with crystals, rocks, gems, etc!! I also can't wait to see what else comes of them and to be able to see what else they can do. First of all, isn't this cover absolutely gorgeous? The story is a bit slow at the beginning, and I found it a bit hard to follow at first, as there are many characters, and the narration goes from one to another without warning, bu First of all, isn't this cover absolutely gorgeous? The story is a bit slow at the beginning, and I found it a bit hard to follow at first, as there are many characters, and the narration goes from one to another without warning, but once again, it gets better in the second part, all you have to do is be patient! Shae's plot seems rather interesting but we don't see much of her, which I regret a bit. This leaves open doors for the second book, but I would have loved to see a bit more of her quest in this book. I also think Charis' part was a bit underdevelopped, but hopefully, we will see more of her too in the second book! I know I didn't explore every aspect of the novel, but what you need to keep in mind is, if you start this book and are not convinced at first, don't give up just yet, and give it a second chance! Rachel Smith created such a fascinating universe, with great characters. I need to get my hands on the sequel right now, I can't get it off my mind! I recommend it for people who liked The Selection or Red Queen. This story actually begins six hundred years in the past. Six hundred years ago Argina has a dream...so vivid, so real that she had to act if Renatus was to be saved. The dream was that the royal manor was up in flames by a blue dragon roaring fire balls upon the manor... with utter destruction. A Phoenix arises from the ashes and flies to the mountain...What can this mean??? I’m already captured into the story...I’m hooked. Nerissa is Heiress of Chiyo. She is oblivious to the forces in play of the future which have been foretold generations ago and have remained hidden till now. This is NOT another run of the mill princess story... this is a story that has been known and, subsequently, forgotten for 600 years, until the time was right. The dream prophecy had been preserved in books. These books must be found quickly before they fall into the wrong hands. And Nerissa, is she up to the task and challenge? I think so. I hope so. There are many characters in this book, both in the past and in the present and at times, it was difficult to keep track of. The point of view of the narrative changed often, sometimes in mid chapter; but I did not find this confusing at all because it flowed so well. This book was great, for me a little slow going, but great. It was slow for me because there was so very much going on, and it was unlike anything I have read before. This author moves and speaks in an unique language that is fun and exciting to follow. I did feel like this book ended prematurely (major cliffhanger), and really nothing was resolved… but oh well, I guess I will have to read the second one :) I am speculating, but I think this book is mostly background and set up, and I believe book two will be all action. I liked the characters and can't wait to see what happens, if anything with the romance that was hinted at in the middle of the book, as well as a deception that may be taking place. A lot of characters seem like they could be playing dual roles… very exciting. The whole plot had shadows of danger and intrigue. "If you know who I am, what is the poin of a disguise?" Disclaimer: I receive a copy of this book from the Author in exchange for an honest review. This does not affect my review in anyway. Reflection: The Stranger in the Mirror is the first book in the Records of the Ohanzee Series written by Author Rachel R. Smith. This book revolves around two lands, an heiress and a prophecy that will change Renatus and its people forever. It is definitely unique from other fantasy books that I have encountered. One of its unique feature is the idea of secret guardians of the Royal family called the Ohanzee. Besides that, this book also talks about crystals and how they are used in many different purposes and not just jewelries or decorations. This book is a bit slow in the first few chapters but as the story goes it becomes this exciting book that I didn’t want to put down. It also has a lot of characters and is told in multiple point of view which can be confusing at first but along the way, I got used to it and was able to differentiate each character from the rest. I got very attached to the main character, Nerissa. I can see myself in her and relate on how she want to escape reality and responsibilities even just for a night. She is also a very strong willed person who doesn’t let anyone stand in her way. The other characters that I liked are the couple, Einar and Ildiko. I know it’s their responsibility to take care of Nerissa after everything that happened because she is the Heiress of Chiyo, but their characters really show the essence of being good parents who will always be there for Nerissa and look after her like their own child. Besides that, they also respect the decisions of Nerissa and supports her no matter how crazy some of her decisions may be because they strongly believe in her. As I have said earlier, there are a lot of characters in this book and I hope they can be seen more in the other books in this series. For example are Rian and Raysel who I adore so much because of how funny but intellectual the two are. Lastly, I really admire how beautiful the author writes. It seats between easy to understand and sometimes technical which is good when you want the readers to have a depth understanding of the world the characters are living in. It really captivates me because she sets the mood very well in every scene whether it should be happy and jolly or lonely and sad. I also appreciate how each character have their own strong personalities that I know many people would relate to. This book was also able to make me feel all sorts of emotions but the most amazing aspect of this book is how it made me laugh which is very unusual for me when reading. First, I want to praise the book cover and who ever the illustrator of the book is, I salute you. This was just so refreshing! Reading it brought me to my happy place and we just all need books like this once in a while. I don't know what to say other than I loved it. The pacing is just enough to understand every single detail clearly. I love how the twist works and how it was uniquely played in every character's role. Honestly, I find it hard to write this review because as much as possible I d First, I want to praise the book cover and who ever the illustrator of the book is, I salute you. This was just so refreshing! Reading it brought me to my happy place and we just all need books like this once in a while. I don't know what to say other than I loved it. Honestly, I find it hard to write this review because as much as possible I don't want to spill even a single sentence because this book is just great and every reader worth its time to spend with this one. The characters is the biggest factor why this book is just so good. Nerissa, the main character, is strong, intelligent, loving, kind, and flawed all in good measure. I never really felt she was overdone. She knew she had limitations but she wasn't afraid to test her bounds on anything. And since I am in her head I get to see a lot of what has shaped her. Sometimes, with first person narratives the other characters falls somewhat flat. I did not find that to be the case here at all. Each character offered something and we got to see several different sides of their personalities. There are plenty of questions surrounding many characters, but I never felt that any of them were forced or introduced without reason. I gave four stars for this because I'm interested more to see where the story goes and what will happens next with the characters. I'm reserving my five stars for this Ohanzee series and let's see which book will get that. I'm looking forward to the next books. Really enjoyed the equalization of women and the mulan retelling aspects was really fun. However not a lot of action lot more talking about action than action. I also loved the crystal use in this book I am a fan of crystals so when hearing all the descriptions of the gems and jewelry makes me want to make some like the book. I also loved the names how unique they are and the history of the world is really awesome to learn about however putting the history in the prologue made it a bit confusing at first but then it was resolved. I’m sort of 50/50 on this book. I knew it would end on a cliffhanger but the cliffhanger wasn’t so bad that I feel the urge to read the next book...even though nothing got resolved in the first book. I liked Nerissa, and the characters but I think the story got too spread out. We had points of views from so many characters and then never got back to some of them. If there is a love story in this book, it’s very slow going and it might even be a love triangle...not sure. Anyway, lots of potential I’m sort of 50/50 on this book. I knew it would end on a cliffhanger but the cliffhanger wasn’t so bad that I feel the urge to read the next book...even though nothing got resolved in the first book. Anyway, lots of potential and maybe the next books get more exciting but I’m not sure I feel like continuing on. I have fallen in love with this book! Such a great plot! Can't wait to read the next ones!!!! This book will have you on the edge of your seat. There is so much action and adventure that you will be hard pressed to lose interest. The plot and characters are well developed and interesting. Great book especially if you like books similar to lord of the rings series. "Remember that Chiyo may be in ashes, but the phoenix will rise again." 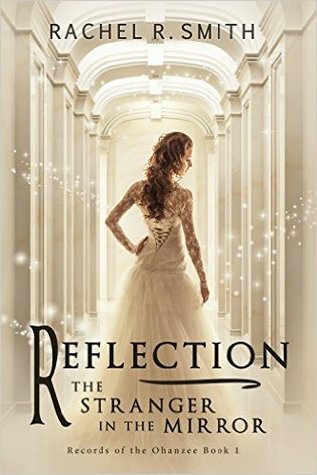 I received an ARC of: Reflection: The Stranger in the Mirror via NetGalley in exchange for an honest review. Reflection, does not read like a typical book. It doesn't have the usual climax and ending. It is meant to be read as a continuing story into the next book so there is no climax at all and kinda just...ends. Now this was new to me and I kind of like it. A lot was left unsaid so I definitely want to read the next one. My biggest problem is that we just follow too many people. Now I love a story with a lot of side-plots and characters but I don't always need to know what they are doing. It kind of takes out the mystery of all the subplots twining together beneath the story. This story swaps POV's like nobodies business. We follow Nerissa, Charis, Shae, Shae's daughter, Einar, Einar's wife, Rial, Raysel, Tao, the villains, like everyone we meet. On top of that it will change POV mid-chapter from paragraph to paragraph. One paragraph Nerissa, the next Charis then back to Nerissa. It makes the reading rather muddled. It takes out all the surprises completely. We always know what everyone is thinking or doing. I would have liked it to be more subtle I guess. The romance is...kind of there? Rian comes across as a love interest for all of a chapter and a half before we don't see him again until the end of the book at all even though he is technically there. Which is convenient considering she has memory loss of meeting him, which is also convenient considering she is royalty and he is an Ohanzee. There is the possibility of Raysel which I hope not, because then we would have the horror of a love triangle. Please don't do this to us Rachel. Then we dive into the cliches. While even though in this world royalty can marry whoever they want, OF COURSE it's FORBIDDEN for Ohanzee warriors to be romantically involved with royalty. Just like OF COURSE women can't be an Ohanzee warriors because it's "tradition" not "sexism". It's then "explained" that women don't WANT to be warriors and they are the ones that chose to not allow women to be warriors anymore. Of course by "explained", I mean this mysterious "reason" is conveniently mentioned but not given. Probably because there isn't a good one. It's total bs I'm sorry. If you don't want women to be allowed to be warriors for the plot (I understand why she did it) but don't give me that nonsense reasoning. If these cliches aren't enough let's throw in a prophecy with "the chosen one" for good measure. I liked a lot of the elements like the crystals and the prophetic dreams. I can tell we'll have more of Shae and the prophecies. While I'm not all that interested in the overarching prophecy of the story, (I fail to see why it is necessary other than to make Nerissa "special") but I am interested in her role as having foretelling dreams and how those could be used in the future. I grabbed this book for free on my kindle. The blurb was interesting and I had heard good things about it from some friends. I must say it did not disappoint. Smith's writing is well thought out and informed while still delivering the lightness of a great fantasy! I immediately bought the next three in this series upon finishing this one! Definitely recommend this book to anyone who enjoys the fantasy genre! I'm a reader who looks at a book's cover first, before reading the blurb. I admit, The Reflection's cover is the sole reason why I requested for it. It's just so enthralling, so beautiful. The abstract idea of the story is superb! The Reflection is different from any of my other fantasy reads. It was one of a kind. The book has a slow pace, yet there are many things going on, that's why I held on to it. This one was really hard to set aside. The main character, Nerissa, has been my new favorite this 2016. She's fearless, I do admire her strong characteristic, her determination and compassion to everything she does. I highly respect Smith for making such beautifully written book. The writing, same as the world she built were foreign to me. She made a world with both magic and high technologies. It was substantial. I'm disappointed at how the book ended in just a snap. Like how the hell it happened that suddenly, it's finished. There are still questions in my head, unanswered. Nerissa is heir to the Kingdom of Chiyo. Chiyo is the more mystical of two divided kingdoms. The Kingdom of Marine followed a more technological path. They have been unquiet neighbours since a thwarted assassination attempt on the rulers of Chiyo twenty years earlier. Nerissa is a strong minded young women who finds the strictures of being the heir suffocating. She decides to create double masquerade on the night of the ball celebrating the failure of the attack twenty years before. It will be o Nerissa is heir to the Kingdom of Chiyo. Chiyo is the more mystical of two divided kingdoms. The Kingdom of Marine followed a more technological path. They have been unquiet neighbours since a thwarted assassination attempt on the rulers of Chiyo twenty years earlier. Nerissa is a strong minded young women who finds the strictures of being the heir suffocating. She decides to create double masquerade on the night of the ball celebrating the failure of the attack twenty years before. It will be one last night of anonymity, and a choice which will change the course of Chiyo's history. The world created in Reflections is fascinating with hints of magic and technology. It is the beginning of a series so I expect we will learn more in the next book. This novel does a good job of setting the stage, introducing the characters and setting, and creating the essential conflict for the series. Nerissa is a strong and engaging character with good back up cast. Entertaining story. Oddly intriguing for me. I usually don't enjoy slow books but this was written so well and held my attention the entire time. I gave it 4 stars not because of the slow journey but due to the ending. It didn't feel like a complete book. I understand there will be another or possibly 2 more in this series, however it still felt unfinished. The main character was interesting and respectable. I appreciate a strong female character with inner strength, compassion and perseverance. Entertaining story. Oddly intriguing for me. I usually don't enjoy slow books but this was written so well and held my attention the entire time. I gave it 4 stars not because of the slow journey but due to the ending. It didn't feel like a complete book. I understand there will be another or possibly 2 more in this series, however it still felt unfinished. The main character was interesting and respectable. I appreciate a strong female character with inner strength, compassion and perseverance. Received from NetGalley for honest review. The Stranger in the Mirror was kind of a let down, but overall, I thought that it was okay. The book started off to be really exciting. It was action-packed along with mystery and suspense that I really enjoy in a book. However, halfway through, the storyline fell flat and I just started to lose some interest to it, but there were still some twists and turns that really surprised me so it kept me reading. All in all, I thought that it was okay but I was Received from NetGalley for honest review. I feel very neutral about this book. There is a good story line in here somewhere, I just feel like it never reached it's full potential. The relationships between all the characters seemed very bland and I would consider this book to be a prequel. If you want to see any action you will have to look for it in the second book of the series.